Finding the Good in Holiday Stress – Faith, Science, Joy, … and Jane Austen! “The folly of not allowing people to be comfortable at home—and the folly of people’s not staying comfortably at home when they can!”–John Knightley, on his way to a holiday dinner, laments the stresses of the holidays in Emma. Like any other time of year, the holidays can be stressful. Some events are “good stresses”–parties, family gatherings, cooking, buying presents, celebrations. Even these can become overwhelming. There may also be what we think of as “bad stresses.” We might be missing family members who are far away or gone, or remembering past holidays that were much better, or much worse. Scientists have been telling us for some years now how bad stress is for us. But a recent book claims stress can actually be good for us! The Upside of Stress: Why Stress is Good for You and How to Get Good at It, by Kelly McGonigal, is based on many scientific studies in psychology. These are just a few applications of the many lessons shared in this excellent book. Usually when we feel stressed, it is because something we value is at stake, something meaningful to us. If you are stressed by Christmas shopping, why? Is it because the happiness of people you love is important to you, and you want to find the right gifts to make them happy? If you feel stress, like me, because your loved ones are far away for the holidays, why? For me, it is because I value those relationships, love those people, and they are precious to me. Think through your values that relate to the stress. How can you better deal with the stress, by remembering the value behind it? For example, the shopper may be able to focus better in shopping. She may think of the joy she hopes for on her children’s faces. Rather than rushing through the experience, she might find some joy and meaning in it. I can send gifts from far away to those I love, and arrange to video chat when they open the gifts. And I can think about what I really want for them. I pray for true blessings of Christmas for them, joy and peace and love. My little Christmas tree reminds me of my values. A reminder of Christ’s birth, the meaning of Christmas, is at the top. My faith that God loves and cares for me helps with my loneliness. Ornaments made by my grandchildren and my friends remind me that I am part of a family and several communities. I can pray for and encourage them even if they are not physically with me. Ornaments that say “Joy” and “Peace” remind me to ask God for those lasting gifts, for myself and others. According to McGonigal’s research, those who reach out to others deal with stress better than those who don’t. And those who give are happier than those who focus on themselves. Probably you knew that already! It helps to talk through our stresses with others, and ask for help where we need it. I’m really bad at this; I hate to “burden” anyone. But then I realize that I feel honored and blessed when someone is willing to share their struggles with me and I can help them a little. So why not allow someone else that blessing of giving help? And, of course, look for people you can help. At Christmas, our family always used to find people in our community who could not be with their families. We would invite them to join us for Christmas morning. Who can you bless and care for this week? Grandchildren may be stressful, but it is a joyful stress! Sometimes the holidays remind us of losses and past trials. McGonigal lists many benefits of going through stressful, difficult experiences like hardships, loss, and traumas. We may not be able to see these when we are in the midst of a trial. First, of course, we need to recognize what is happening and how we feel. But as time goes on, we may be able to see the benefits from past trials, which will help us deal with future trials. Have you experienced any of these from past trials? I remember a very difficult trip home after Christmas, which took three days because of weather delays. The first day was very difficult, as I had to drag heavy bags and cope all alone. But eventually the stranded passengers began connecting with each other, talking and helping one another. Once we did that, the experience became much better, easier to bear. I realized, from one woman’s comment, that others had been feeling just as isolated as I felt, and I could have reached out sooner and found help and community. Stress increases the risk of health problems, except when people regularly give back to their communities. Stress increases the risk of dying, except when people have a sense of purpose. Stress increases the risk of depression, except when people see a benefit in their struggles. Stress is paralyzing, except when people perceive themselves as capable. Stress is debilitating, except when it helps you perform. Stress makes people selfish, except when it makes them altruistic. For every harmful outcome you can think of, there’s an exception that erases the expected association between stress and something bad—and often replaces it with an unexpected benefit.” Study after study proves that our attitude toward stress and our understanding of it determine whether it harms or benefits us. You’ll find lots of encouragement in The Upside of Stress. Next week we’ll look at some more responses to stress, with examples from Jane Austen’s characters, and consider a “stress challenge” for the New Year. Spiritual growth is one of the benefits of adversity that researchers found. How might you seek to deepen your relationship with God in your current situation, whatever it is? 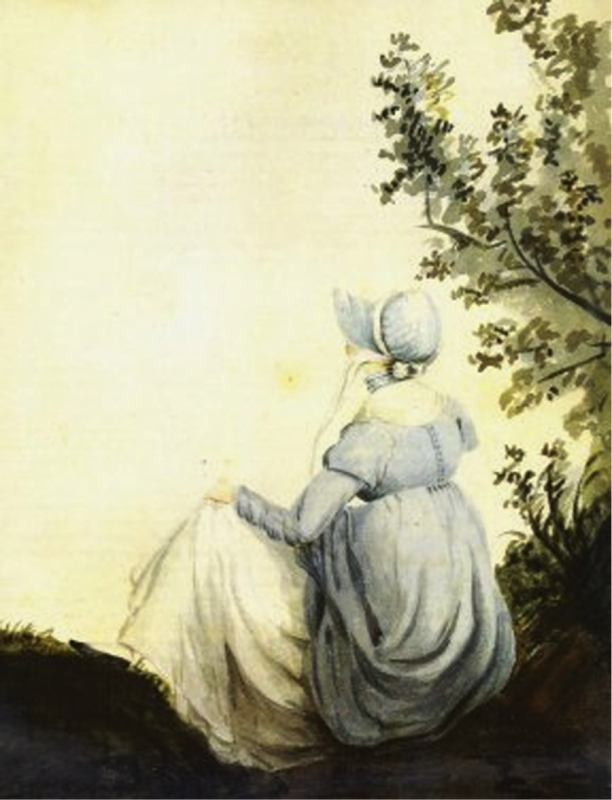 Pingback: How Austen’s Characters Respond to Stress – Faith, Science, Joy, … and Jane Austen!